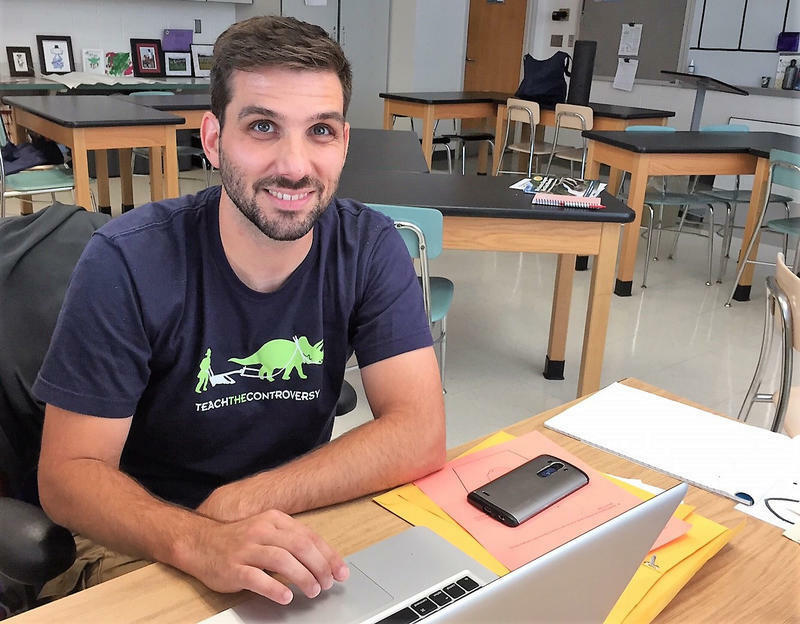 Drew Ising, who teaches biology and environmental science at Baldwin City High School, says the Heartland Institute book and video on climate change are slick and professional — and may misinform others. The massive hurricanes Harvey and Irma have people talking about how much, if at all, climate change adds to such storms’ destructiveness. The Chicago-based think tank, which is now led by former Kansas congressman Tim Huelskamp and has received funding from Koch family foundations, is trying to persuade teachers across the country to call global warming into question as well. Jim Lakely, Heartland's director of communications, says the Charles Koch Foundation made a single $25,000 contribution in 2011 to fund work on healthcare issues. However, environmental activists with Greenpeace and DeSmog have said internal documents obtained in 2012 show the foundation also made substantial contributions that they said supported the institute's work on climate change. A few months ago teachers started receiving a book and DVD in the mail. The book, “Why Scientists Disagree About Global Warming,” is a 110-page paperback compiling alternatives to Al Gore’s theory of climate change. “We knew the other side, the alarmist side, was already being discussed so our goal was to try to get both sides discussed by having something from more of the realist side in the discussion,” says Lennie Jarratt, who manages the distribution for the Heartland Institute. 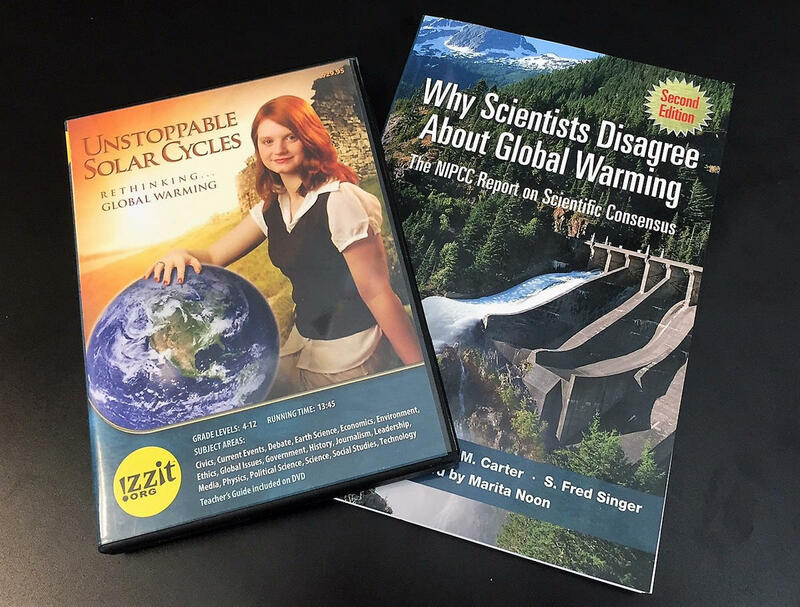 The Chicago-based Heartland Institute recently sent 250,000 copies of the book “Why Scientists Disagree About Global Warming” and DVD to teachers across the United States. “I believe it ended up being a little over 250,000 that went out to teachers,” according to Jarratt. One copy landed in the mailbox of Drew Ising, who teaches biology and environmental science at Baldwin High School in Douglas County. He’s also the president of the Kansas Association of Biology Teachers. Ising teaches his students that climate change is man-made, mostly from carbon dioxide emissions. In the view of the Heartland Institute, that makes him one of those alarmists. “They think that teachers are being persuaded or tricked by science and government and media to teach climate change in one way. And they think that way is disingenuous and flawed,” Ising says. He says he carefully read the Heartland Institute’s book, even highlighted some portions, and watched the DVD that came with it. Both, he says, are slick and professional. “I think it’s going to, in some places, do its job of misinforming others,” Ising says. The truth, according to the Heartland Institute, is that nobody knows for sure what’s causing the climate to change. Jarratt says it might be human activity, but it might not. He maintains that many teachers agree that the science isn’t settled. “A lot of people don’t follow the science, they’re following an agenda and pushing an agenda into the schools and into this politically,” he says. Heartland too has an agenda. “Well, our agenda is just free market ideas,” Jarratt says. Michael Ralph teaches at the Center for STEM Learning at the University of Kansas that helps train science teachers. He says not only is climate change science settled, but he’s offended by Heartland’s intrusion. In fact, the state standards are quite clear, saying humans are mostly responsible for global warming. “Human activities, such as the release of greenhouse gases from burning fossil fuels, are major factors in the current rise in Earth’s mean surface temperature (global warming),” according to Earth and Human Activity standards published by the Kansas State Department of Education. "A lot of people don't follow the science. They're following an agenda and pushing an agenda into the schools and into this politically." Heartland, so far, hasn’t targeted boards of education or teachers colleges. But it is such standards that spurred the organization to print a quarter-million books and send them to teachers nationwide. “The next-generation science standards push that global warming is man-made, is the main driving cause, and I think there are many, many teachers that were looking for an alternative and this provided them information on the other side so they could give a more balanced approach,” says Jarratt. Ralph, who taught biology in Olathe for eight years before going to KU, says part of what he does is instruct teachers how to talk with parents who believe climate change is a fraud, something made up by liberals and the media. “One of the hardest things parents who feel very strongly that this is a fraud or this is misleading is how personal it came become and how emotionally charged it is,” Ralph says. Knocking on wood in his classroom at Baldwin High, Ising says he has yet to have that kind of confrontation with a parent or student. “I haven’t had in my 10 years of doing this now, I haven’t really had a student that said humans have no part to play in this,” Ising says. He hasn’t heard of many confrontations from his biology colleagues across Kansas either. But in the end, while Ising clearly disagrees with the Heartland Institute, he says having the book gives him a tool to explain the controversy. Editor’s note: This story has been updated to clarify the past contributions from Koch family foundations to the Heartland Institute, and to link to the Charles Koch Foundation's explanation of its support. 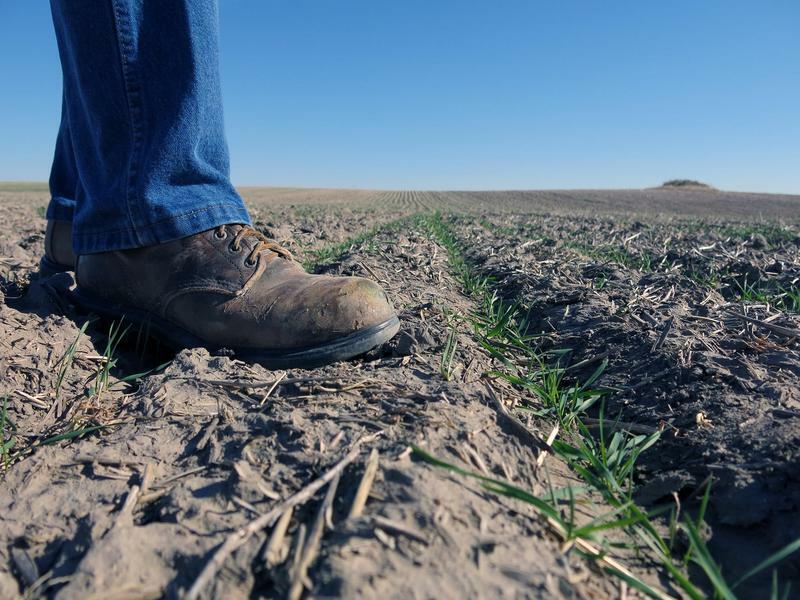 As The Climate Changes, Will Farmers Depend On Government Research For Help? 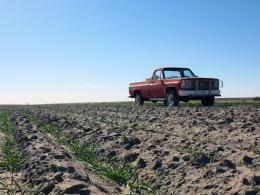 Farmers and ranchers, with their livelihoods intimately tied to weather and the environment, may not be able to depend on research conducted by the government to help them adapt to climate change if the Trump Administration follows through on campaign promises to shift federal resources away from studying the climate.